They are made from recycled blanket felt, my favourite fabric ever! these lil guys make me smile! hee! 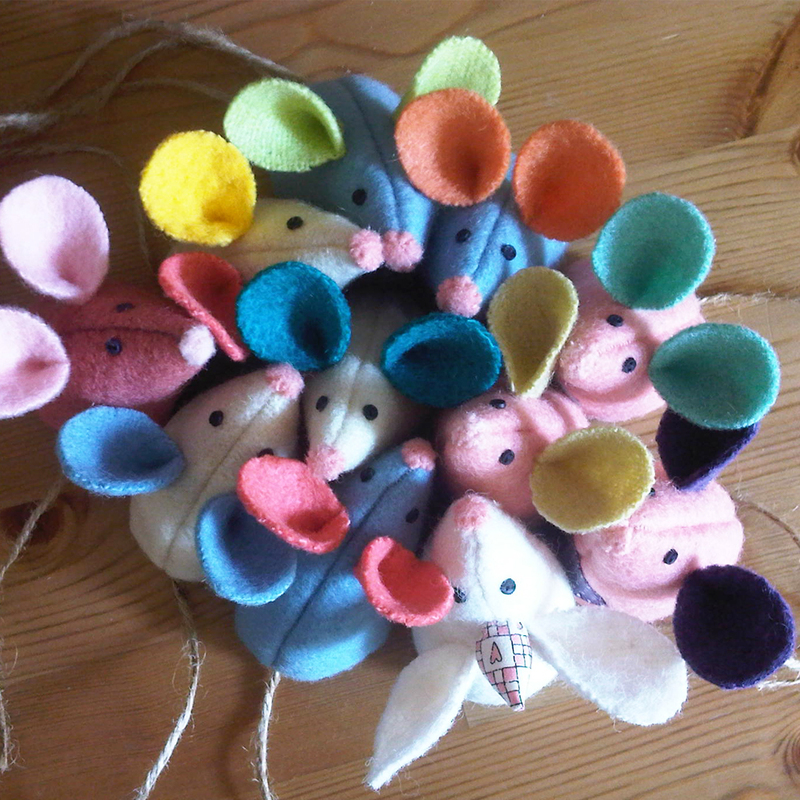 Your mice are beautiful and so perfectly sewn!